The ever-reliable SamMobile reports Samsung will not bring its long-awaited in-display fingerprint reader to the entry-level Galaxy S10. Instead, Samsung will have it “side-mounted” on the frame in an effort to cut costs. Of course, the obvious question to ask is: Why would Samsung take such a risk with such an important phone? The answer lies in a change of strategy. 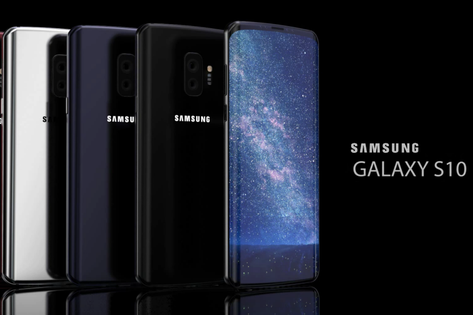 Samsung is expected to release three Galaxy S10 models, rather than the usual two with the third an ‘entry-level’ device. The problem at this stage is ‘entry-level’ is undefined: it may be a significantly cheaper option like Apple’s upcoming budget iPhone X or the standard model with the in-display reader saved for two new high-end options much as Apple did last year when releasing the iPhone X above the iPhone 8 and iPhone 8 Plus. In my opinion, hope (and common sense) is Samsung will do the former though whether the Galaxy range can take dilution of its flagship range as well as Apple’s iPhone, remains to be seen. What is an objective fact, however, is Motorola, Sony and Vivo have all previously tried side-mounted fingerprint readers on their phones and all without success. HONG KONG (Reuters) – Chinese smartphone maker Xiaomi Corp’s (1810.HK) shares fell as much as 6 percent on debut in Hong Kong due to valuation concerns, delivering a blow to investor sentiment in the tech sector where peers have lined up listings in the city. Xiaomi priced its Hong Kong initial public offering (IPO) at HK$17 per share, the bottom of an indicative range, raising $4.72 billion in the world’s biggest technology float in four years. Its shares touched a low of HK$16 in opening deals. By 0234 GMT, the stock was trading at HK$16.48, down 3 percent, while the main Hong Kong stock market index .HSI was 1.4 percent higher. The IPO pricing valued the firm, which also makes internet-connected home appliances and gadgets, at about $54 billion, almost half its original $100 billion ambition earlier this year. “Trading below the issue price suggested that investors still felt the valuation of the stock was relatively high as compared with Tencent and Apple,” said Linus Yip, chief strategist at First Shanghai Securities. Xiaomi’s HK$17 price represents a multiple of 39.6 times 2018 earnings, while iPhone maker Apple (AAPL.O) is trading at 16 times and Chinese social media and gaming giant Tencent Holdings (0700.HK) at 36. The listing comes at a delicate time for Hong Kong’s stock market, with the benchmark index hitting a nine-month low last week as investors fret over escalating trade tensions between the United States and China. The Sino-U.S. trade dispute has roiled financial markets, including stocks and currencies, and the global trading of commodities from soybeans to coal over the past several weeks. Xiaomi’s float failed to attract strong interest among investors with the retail tranche gathering demand that was only 9.5 times the number of shares on offer, according to its filing on Friday. By contrast, China Literature Ltd (0772.HK), the e-book arm of Tencent Holdings (0700.HK), late last year raised $1.1 billion in its Hong Kong IPO amid heavy demand, with the retail portion being 625 times oversubscribed. Apart from tough market conditions, the tepid demand for Xiaomi’s offering was also because many potential investors mainly view it as a hardware maker instead of a hardware-plus-internet-services firm as the company calls itself, sources have said. The Xiaomi float adds to Hong Kong’s $7 billion worth of new listings so far this year. It is also the first under the city’s new exchange rules permitting dual-class shares, common in the U.S. tech industry in an attempt to attract tech floats. “We are an internet firm. From day one, we’ve set up a dual-class share structure. Without the innovation of Hong Kong’s capital markets, we wouldn’t get a chance to go public in Hong Kong,” Xiaomi’s founder and Chief Executive Lei Jun told a listing ceremony at the Hong Kong stock exchange. Xiaomi’s debut is seen as a key test of investor sentiment for what is expected to be a packed second-half of the year for Hong Kong IPOs, with offerings including online food delivery-to-ticketing services platform Meituan Dianping. China Tower, the world’s largest mobile tower operator, has won approval for an IPO that could raise up to $10 billion. However, its listing timing will depend somewhat on Xiaomi’s stock performance, sources have told Reuters. Shares of some other tech-related companies that floated recently have been weak in Hong Kong. Ping An Healthcare and Technology Co Ltd (1833.HK) dropped below its IPO price on the second day of trading in May. Xiaomi sold about 2.18 billion shares, making the IPO the largest in the technology sector since Alibaba Group Holding Ltd (BABA.N) raised $25 billion in New York in 2014. Xiaomi focuses on low-priced, high-performance smartphones and touts an innovative business model that features online services, a range of consumer electronics products built by partner firms, and a retail strategy that includes a network of physical stores. It is now the biggest smartphone vendor in India and is pushing into European markets including Spain and Russia, though it has lost share in China recently to lower-cost rivals.